'Just because you know something is going to happen, it doesn't make it any easier when it does' is something that I have said many times before, and I'm certainly feeling the repercussions of it now. No matter how prepared you feel for the inevitable, it doesn't mean that there is even slightly less of an impact when it happens. Days turn into weeks, weeks into months and soon it's like you're urging it to just happen so you don't have to live in fear any longer - no matter how selfish, and messed up that may seem. All I've been thinking of recently is about this time last year, and I can't seem to escape from it ... no matter how hard I try. For most of 2016, all my family and I seemed to receive was increasingly bad news. At each point I would think, 'This is it, it simply can't get any worse than this" and I would be proven wrong again and again. Whenever I think about those times, I feel the exact same feelings as though they happened yesterday, yet they also feel like a lifetime ago. Sometimes I'm convinced that it's all just a bad dream, that I'll wake up tomorrow and none of this will be real. Yet, every single day I am faced with the horror that this is real; and I'm going to have to spend the rest of my life getting used to that. I sit here alone, and there's so many things that I wish I could've said or done differently, and whilst I know that they wouldn't have made any difference, I'm still faced with the overwhelming guilt that they could have. I still feel like you're here, and every time that anything good or bad happens I have to force myself from running upstairs to your bedroom, because although I expect you still to be sat at your desk or lying on your bed (you were such a lazy bum), I'm faced with the crippling realisation that you won't be. There's so many things I wish I could say, and it's killing me that I can't. I feel lost, and for some reason I'm imagining that you would be able to figure it all out for me. But that's just an idealisation because I know that even if you were still here, you wouldn't be able to. I shut my eyes, and I can still see your face as clear as day, still hear your voice, your laugh and even the horrendous hiccup sound that you used to do, but then I open them and there's just ... nothing. Emptiness. I curse the times when I would shout at you to 'GET OUT OF MY ROOM' because you used to sing too loud and I would now do anything to hear one song again. I laugh at the times when I would hug you and you would pretend that you hated it and push me away (at least I hope you were joking, anyway). I'm scared because I've changed, I'm not the same person that I was when you were here and it doesn't feel right. All these things I'm experiencing seem wrong when you're not by my side, and I hope more than anything that you're watching over us. I hope you're proud. I'm craving acceptance from you, but you're not here to give it. See, when people hear the phrase 'Broken Heart' they are quick to associate it with the idea of two lovers going their separate ways - typically one member of the relationship realising that they infatuation they once felt for their significant other is no longer present. Usually 'broken heart' creates the imagery of going long and painful days without being with the person that made your heart race and your veins feel alive, the person who you truly believed, from the bottom of your naive and vulnerable heart, would be there until the end - whenever that may be. For me, a 'broken heart' is different to that of an 'ordinary' person. The first time I felt my heart break was a couple of years ago now. It's news that no one ever expects to hear, the kind of news which changes your life forever - in the instance upon hearing it. It's staring at your other family members across the table, wondering whether you've misheard or if it's some kind of sick joke. It's the feeling of the room going from too shocked to speak, to terrified and heartbroken all in the matter of seconds. It's looking at the person who you've spent your whole life with, who you love more than anything else on Earth, as they watch their family fall apart over the betrayal of their body. Hospitals, I can't even think about them nowadays. I know all too well the smell of disinfectant, the faces of the nurses as they try to be upbeat and jolly in an environment that nobody ever wants to be in. 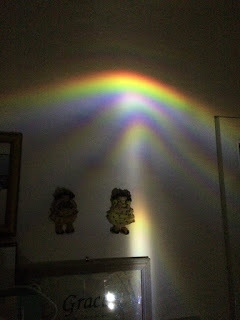 But here was where I met some of the most inspiring people, the kind of people who you know that you will never forget. The people who offered light in the darkest times, I don't think I could ever begin to thank them. Yet they too feel like a distant memory, as though they're characters in a book that I read a long time ago. Because it still doesn't feel real, even after all this time. I think it's because this time last year, I wasn't living. I was going through each day, uncertain as to whether you'd still be here at the end of it. I tried to be strong for so long, which is why I feel so helpless when I get like this. It's as though I've learnt where the 'off' switch is for my emotions, yet the 'on' switch can just be activated at any time. In the past couple of years, I've felt heartbreak that no one should ever have to feel and it kills me that other people are experiencing this too. I would do anything to take everyone else's sadness away, yet I can't even control my own. There's so much I want to say, but I don't know how to say it. All I know is that right now, I'm missing you more than I ever imagined. It's been 10 months and I get angry that I still feel this way, but I'm not giving myself enough time. I know I won't get over this, that I just have to learn to live with it - I need the bad days in order to truly appreciate the good ones, and don't get me wrong, there's many of them! I'm sorry if you found this post uncomfortable and tricky to read, but I don't know how else to let this all out. Writing thoughts down helps me make sense of things, and I feel an indescribable relief when I press 'publish' - as if it all goes away when I do. I hate to think that this post has made you sad, but I wanted to show the reality of loss. People, and I'm guilty of it myself, feel as though there's a time limit on grief, and that they should be over it by a certain point of time. The truth is, it doesn't work like that - I wish it did, I really do. Because this is reality. I'm not writing this because I want sympathy, I'm writing it because I want people to understand. 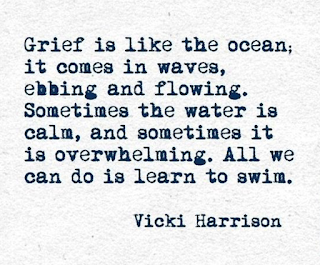 Grief isn't how the portray it in films, or TV shows where one day you just wake up and you're over it. 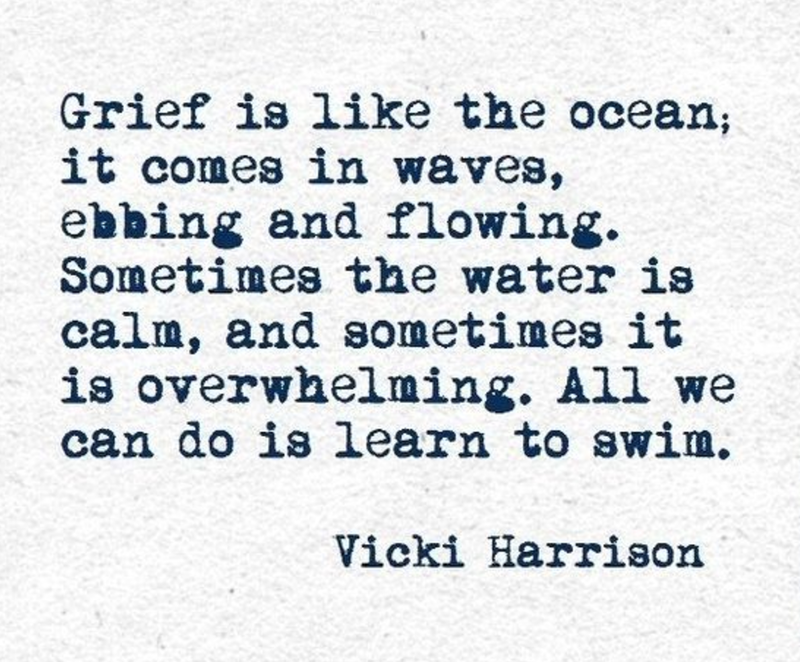 Grief is breaking down at times when you don't expect to, it's being happy all day and then the thoughts that come out once your head hits the pillow at night. It's wanting to be independent, yet being unable to be in the house by yourself without crying until your eyes are red raw, or flinching every time you meet someone new - wondering when the inevitable 'do you have any siblings' question is about to be asked. I want to write about the good things that happen in my life, but I think it's equally important to write about the bad.